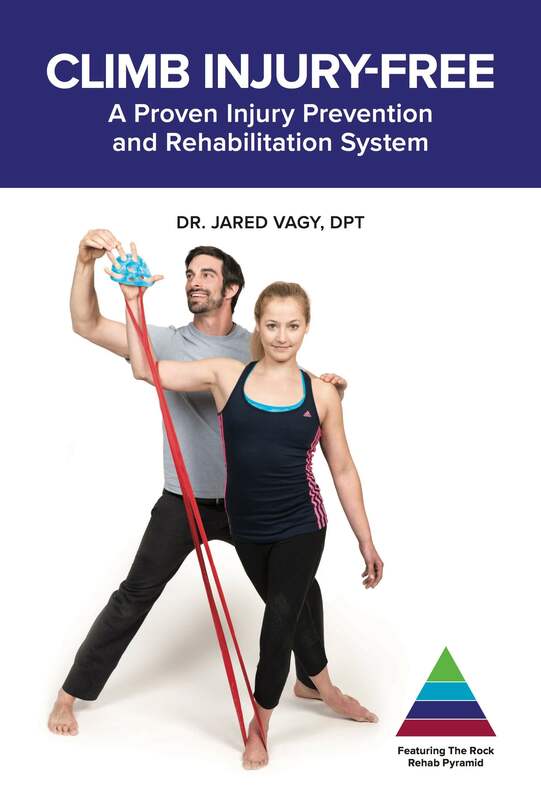 The Rotator Cuff Strain “Rock Rehab Pyramid Program” is a step-by-step rehabilitation and injury prevention plan designed specifically for rock climbers who have pain in the back and sides of their shoulders. The goal of the four-phase process is to take you from the pain, inflammation and tissue overload stage to gain full mobility, strength and eventually pain-free climbing movement. 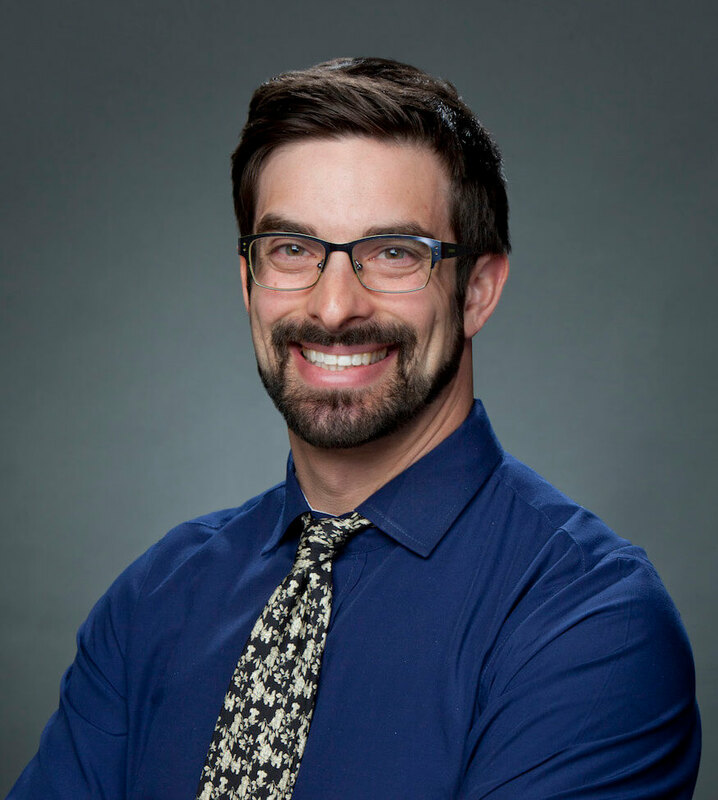 Discomfort lifting the arm, especailly out to the side. 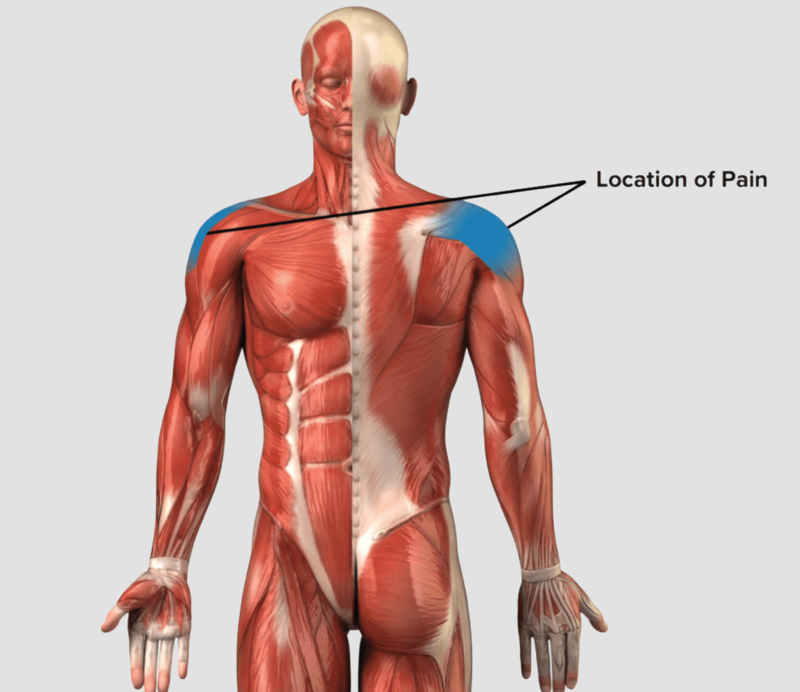 Learn taping techniques that off-load the rotator cuff muscles. Improve the mobility of the rotator cuff muscles that restrict shoulder motion. 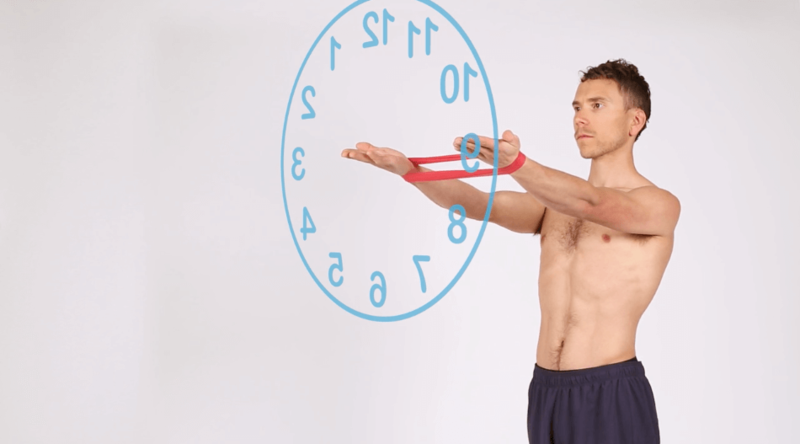 Regain pain-free shoulder range of motion. Improve the strength of the rotator cuff muscles in positions of increased challenge. Coordinate the increased mobility and strength of the rotator cuff into climbing specific movements. Emphasize minimizing movement patterns that can increase stress on the rotator cuff. The Rock Rehab Programs were built specifically for rock climbers. It is for this reason that any tool that is used in the program can either be bought as a rehabilitation tool or created from retired climbing equipment or household items. 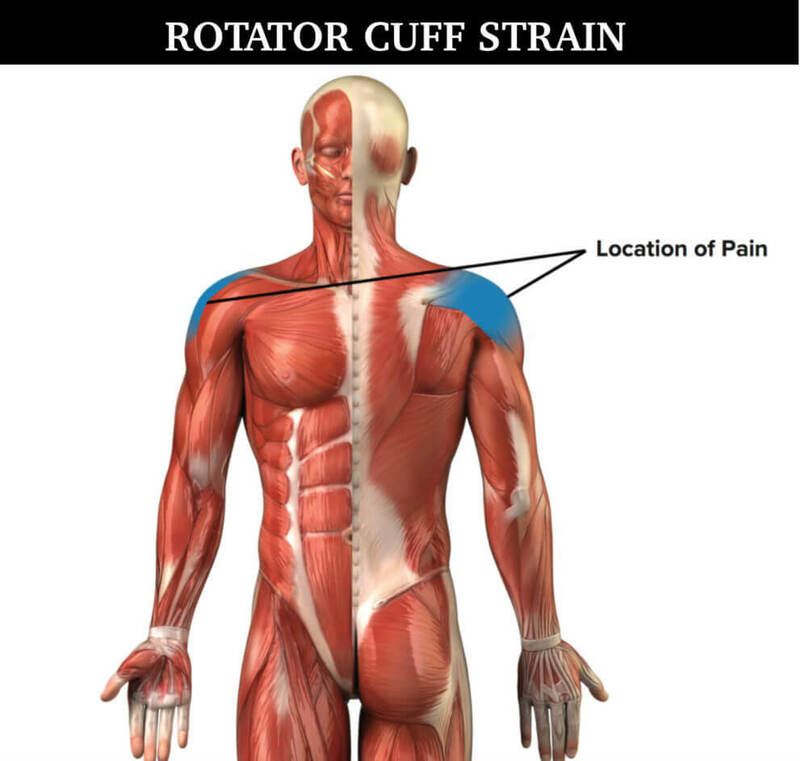 If you use retired climbing equipment or household items, it will be referenced in the videos as a “dirtbag substitution.” Below you will see a list of rehabilitation tools recommended for the Rotator Cuff Strain Program. These are videos from the actual Rotator Cuff Strain Rock Rehab Pyramid Program. This exercise increases the strength and stability of the rotator cuff muscles in the shoulder. This video gives movement advice on how to take pressure off the rotator cuff while climbing.